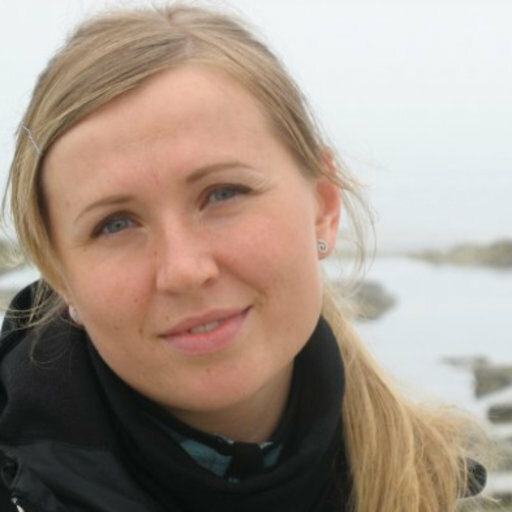 Team of researchers led by Irina Polovodova Asteman, University of Gotheberg, produced a record of bottom water temperature off the coast of western Sweden and found 20th century warming “does not stand out.” Photo: ResearchGate. 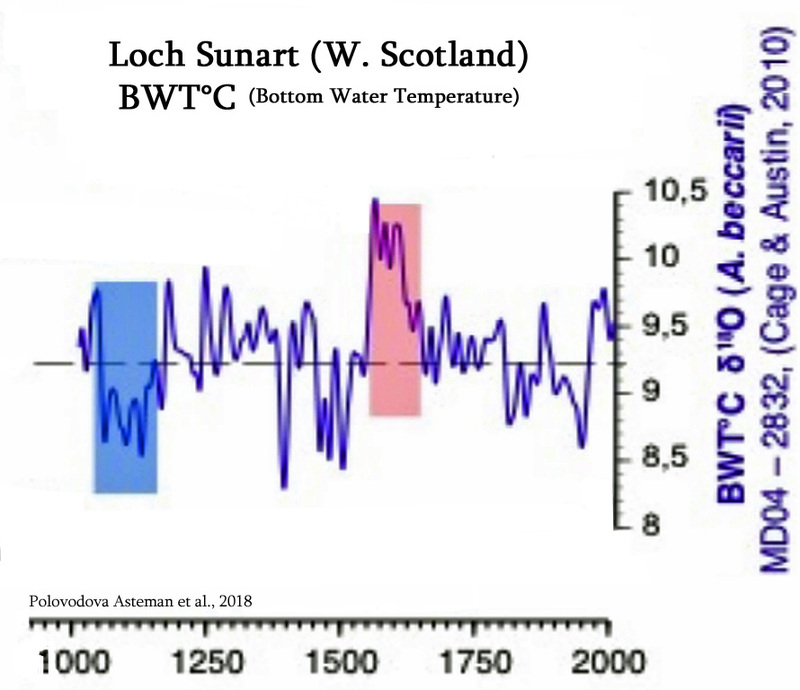 The 2500-year winter temperature record was of reconstructed by using a fjord sediment archive from the NE Atlantic and through analysis of oxygen isotopes and other methods. The study was based on an approximately 8-meter long sediment core extracted from the Gullmar Fjord (Sweden). They found that the Gullmar Fjord d18O record mainly reflects variability of the winter bottom water temperatures with a minor salinity influence. 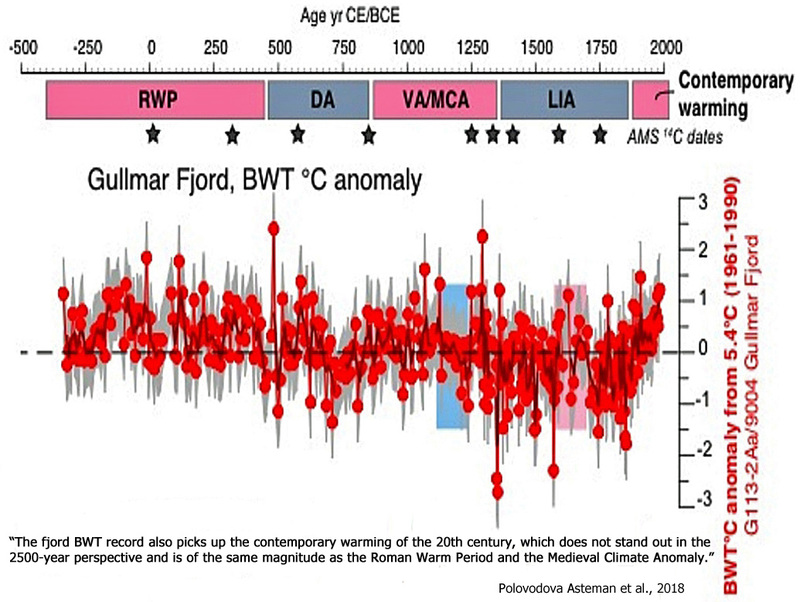 According to the scientists, the Gullmar Fjord record shows a substantial and long-term warming during the Roman Warm Period (~350 BCE – 450 CE) which was followed by variable bottom water temperatures during the Dark Ages (~450 – 850 CE). 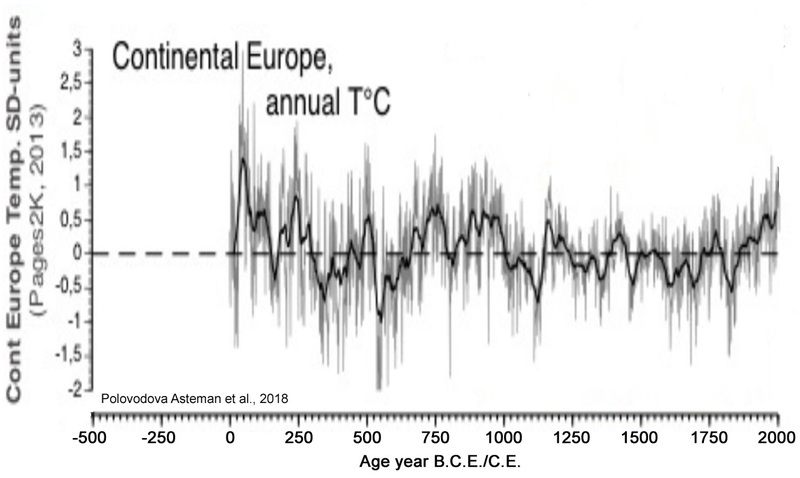 The Viking Age/Medieval Climate Anomaly (~850 – 1350 CE) is also indicated by positive bottom water temperature anomalies, while the Little Ice Age (~1350 – 1850 CE) is characterized by a long-term cooling with distinct multidecadal variability.